Suzuki ALTO model 2014 Reg 2016, Silver Color, Automatic transmission, First owner, Japanese car, Fully original, immaculate conditions. Low mileage, soundless and water dripping powerful engine, Beige interior, ABS Breaks, airbags, power mirrors, power windows, power steering, Throughout Petrol driven. highly maintained with care, one handed, scratch-less condition, slightly used car. Chilled AC, awesome drive, perfectly mint car, neat and clean interior and from exterior, , Complete return file available, not a minor work required, just buy and drive status, seeing in believing condition like zero meter car as shown in pictures. 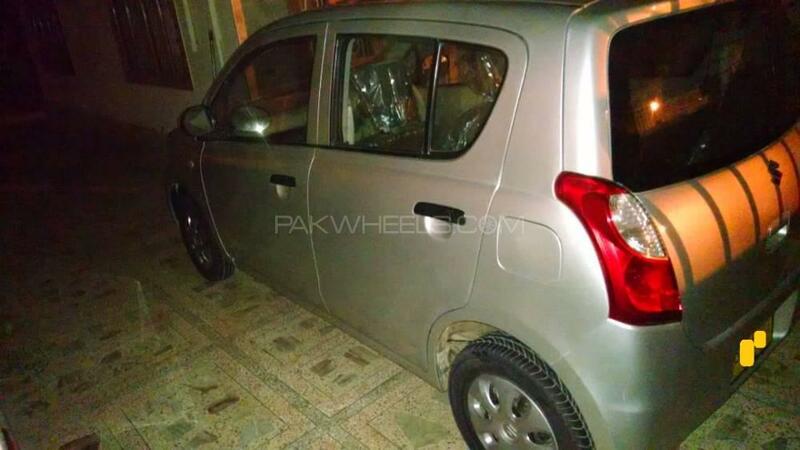 Hi, I am interested in your car "Suzuki Alto 2014" advertised on PakWheels.com. Please let me know if it's still available. Thanks.